Meridio is a brand new platform where you can create or just simply invest in shares. 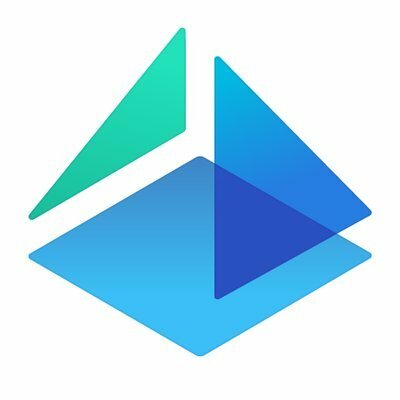 Meridio is built on blockchain and this makes every transaction cheaper & faster. Watch the video and you will perfectly understand how Meridio works. Meridio was already mentioned in Forbes, The New York Times & CNN, so I think it deserve to take a look! A great platform for investor. I checked out the website. Smart investors obviously invest & they can earn a passive income Through Meridio. Thanks for share this amazing platform. This acts like a investment fund for crypto :) I guess if they established their self as a reputable company they can atract investors. Projects like MERIDIO motivate people to invest in the blockchain market and it is something I like very much, I would like to know how safe it is as it is something very important for their adoption. Hi @crypto.piotr, this one calls immediately for Metamask (if you have installed on your browser). I personally dislike things that act automatically without asking for permission. I have not tried the website, but I would feel more comfortable using something alike, on top of EOS based platforms. I agree forykw. It will take time to make everything perfect. It matters their initiative! There are already different ways and tools to invest and trading. MerIdio is a awesome addition and wondeeful platform due to which tbe investers can do trading just a simple and fastest result as compare to anyother. I am a crypto trader and I would like test Meridio site, if transactions fee is cheaper and fast that will great for All crypto trader in the world. We all know crypto is future. MERIDIO is a block chain platform where you can create your share or just simply invest in it. But nowadays beginners don't want to invest in anything because of the trust. They can't trust anyone in online. If the platform is safe for investment and can realize people that they're trusted then MERIDIO can get a lot of investment from people. Very good hunt. How many properties do they have tokenized and available today?When I click “Browse Property” it asks for name and email to continue. Is there a place to view statistics of the properties available? At first I want to thank @jwolf to share Meridio platform, I am a Airdrop and crypto trader specialist . Meridio is providing quick transaction and cheap fee, I will definitely use this platform. Is Meridio available in other countries? At this stage, the Meridio platform is only available to US residents, but plans for international inclusion are on the way! I just going to join here..